David B. Feinsilver, M.D. was a long-time staff member at the Chestnut Lodge Hospital in Rockville, Maryland, U.S.A, where he chaired its Symposium Committee. A former president of ISPS, the chair of its 1994 meeting in Washington, and the founder of ISPS-US, he established a fund before he died after a long illness. This fund grants a scholarship to fund travel expenses to each ISPS International congress, for the best research or clinical paper on the psychotherapeutic treatment of the severely disturbed. If you are interested in applying you for this grant you must indicate so during the abstract submission process. Applications will only be considered from people who cannot afford to attend the congress without financial support. The award will be given to the best research or clinical paper by a newcomer, who cannot otherwise afford to attend the congress. Noel Hunter is a Clinical Psychologist from New York, currently in her postdoctoral training year. The awards committee received a large number of high quality applications this year, and voted in favour of supporting a young professional who has contributed a great deal to ISPS-US over the years. 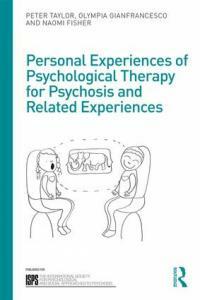 Noel will be presenting her work on first-person perspectives on psychotherapy for extreme states at the 20th International Congress of the ISPS in Liverpool. Contributions to the David Feinsilver fund may be sent to the Community Foundation for the National Capital Region: CFNCR - Feinsilver Fund: 1112 16th Street NW, Suite 340; Washington, DC 20036.